Starting a new business, getting it off the ground, growing it or preparing it to pass on to others requires careful planning to ensure its success. At Edmondson Law, PLLC, our highly skilled business transaction attorneys guide their clients in making decisions that affect their business today and down the road. Each business is unique. When starting a business, our experienced attorneys can advise on proper entity formation, filing documentation for your new business, and plan the structure of the ownership and management of the business. Edmondson Law, PLLC law firm is here to serve as your localized corporate counsel despite the type or size of your business. Deciding how to configure your new business will have implications that touch on many different areas. We can assist by providing advice and representation for all types of business transactions that impact your new business. 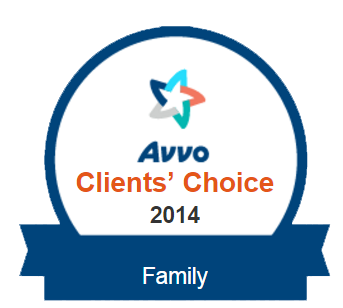 We make sure our clients fully understand their options and the best choices to help them reach their goals. Corporation, LLC, Partnership, or Non-Profit? Some of the most common business entity choices include corporations, partnerships, limited liability companies, also known as LLCs, and non-profit. Texas corporate laws require businesses to file a certificate of formation with the secretary of state that contains particular information about your business. Before filling out the paperwork to form a corporation, there are a couple of steps that every company should investigate. It is in your best interest to have one of our trusted lawyers to advise you on your best options. Limited liability companies are a newer form of business entity. Texas limited liability companies (LLCs) are governed by the Texas Business Organizations Code (BOC). Texas law recognizes several types of LLC’s, including non-profit. Partnerships differ in the state of Texas, and it is essential to speak with a professional to help you choose the one that may be best for you. Edmondson Law, PLLC law firm is here to serve as your localized corporate counsel despite the type or size of your business. Deciding how to configure your new company will have implications that touch on many different areas. We can assist by providing advice and representation for all types of business transactions that impact your new business. We make sure our clients fully understand their options and the best choices to help them reach their goals. Start your business off right by knowing you have chosen the best business structure and the right law firm to help you with all your business legal needs. Think of Edmondson Law, PLLC as your outside general counsel, here to serve you whenever you need assistance with a legal issue. The Wylie business formation lawyers at Edmondson take the time to get to know their clients and understand their needs. We make sure our clients fully understand their options and the best choices to help them reach their goals. Corporate agreements and bylaws form the system under which a business operates. It also governs the relationship between the business and its owners – whether they are shareholders, members, or partners. Without a reliable system and structure put in place, your company may very well be doomed before it opens its doors. It is essential that various possibilities be considered and governed by such agreements. Hiring a professional business law attorney who understands such issues is crucial in getting things off on the right foot. Our lawyers have extensive experience in litigating company agreements and bylaws. Knowing the problems companies face over poorly written agreements gives our attorneys a distinct advantage in drafting and analyzing corporate contracts and bylaws on behalf of corporations. Contact our office today to schedule an initial consultation. A Company’s Continued Success is Largely Tied to its Ability to Maintain Control Over its Confidential, Proprietary, and Trade Secret Information. Unauthorized use or disclosure of such information by employees and third-parties can cause significant damage a company, its profitability, and its ongoing operations. At Edmondson Law, PLLC can work with you to create licensing agreements, employment agreements, non-compete agreements and business policies and procedures that keep your intellectual property safe. When the need arises, we can also help you litigate claims to enforce your company’s rights to its vital business assets. Our attorneys have extensive experience in representing businesses in asset purchase agreement transactions. We represent business clients in Wylie, Murphy, Sachse, Lavon and surrounding communities. Contact us today to talk with a lawyer experienced with asset/stock purchase agreements. Joint ventures can facilitate a company’s ability to react to dynamic business environments and to achieve critical business objectives successfully. While they can be notoriously difficult to structure and negotiate, working with experienced advisors of joint ventures law is a crucial first step in ensuring the potential for success. If you are interested in starting a business, our Edmondson Law, PLLC attorneys can provide counsel regarding the appropriate entity selection to obtain the best advantages and efficiencies for your business. We strive to ensure that the vision of your business is realized and will help you structure it accordingly. For more information, or to schedule a free consultation, please call 972-442-8326.